Tom Parker is the CEO at Cambre Associates, a Brussels-based integrated public relations and public affairs consultancy. There is little doubt, however, that the choices it makes in the months ahead, particularly on leadership and budget, will have profound implications for the next EU term and beyond. Buoyed by a sweeping presidential victory, France’s Emmanuel Macron injected new energy into the dreams of a reformed, more dynamic and engaged EU. However, German-led fiscal conservatism, member states’ fear of referenda on the EU and the ongoing threat of an incoming nationalist, anti-EU Italian government, put paid to the prospect of a new, reformed Union, closer together and to its citizens for the next term. With profound reform off the table, the EU will remain challenged by its democratic disconnect, and the outcome of the upcoming EP elections could well mark an important juncture in its history. If the Italian electoral results are anything to go by, the rise of populism could cast a significant shadow over the make-up of the next parliament and by extension the next EU term. The risk will in some way be offset by the departure of UKIP, Nigel Farage and his band of merry men, but populism still represents a major threat, with at the very least 100 MEPs set to be in the eurosceptic camp. As for the major parties, the departure of the UK Conservatives has shot a potentially critical hole in the side of the European Conservatives and Reformists (ECR), the Party of European Socialists (PES) faces a major uphill struggle, reeling from so many recent electoral disasters and as for the Greens, well as always, who knows! Which leaves us with the European People’s Party (EPP) and Alliance of Liberals and Democrats for Europe (ALDE). Of the two, ALDE represents the greater intrigue but this time around it could be for very different reasons. Likely to remain the kingmaker par excellence, ALDE’s talks with Ciudadanos in Spain, Nowoczesna in Poland and En Marche in France could result in a new and significantly greater power base. What’s more, if they can get their house in order, the liberal family can field a very exciting candidate or more for the Commission President. Meanwhile, the EPP is likely to consolidate its position as Europe’s largest party and will seek to employ the Spitzenkandidaten process to shore up its cross institutional leadership. Against this backdrop, can the EU afford to roll forward as it is? Looking back over the last EU term, it is fair to conclude that President Jean-Claude Juncker and his partners in the Parliament and Council have achieved a lot. Amongst other achievements, leadership has been shown in trade, energy and climate action, EU citizens’ fundamental rights in a digital world are being protected more than ever before (in case you missed it, last week GDPR took effect and Facebook chief Mark Zuckerberg was – sort of – quizzed by the EP), efforts are being made to sure up the single market (let’s see if the next Commission really has the guts to go after the big member state infringers), and the EU economy is generally upbeat (at least for now, but let’s not talk about Italy’s public debt and national “plans” around it). With all this, one could be forgiven for thinking that “if it ain’t broke don’t fix it”, and more of the same might do. Like the latest national votes, the next EP elections will be more about security and migration, than economy and jobs. Diverse eurosceptic formations are aligning on nationalist and protectionist positions against the EU (and/or the euro) that are attractive for left – and right – wing voters alike, shrinking the space of a liberal centre and linking the fringes. The big European political families should thus overcome differences over the institutional form of the Union and come together with a compelling vision, around its fundamental values and concrete achievements. The example of Italy and the wider threat of populism mean that even with the handy reminder provided by Brexit – that the EU really does create enormous value – Europe must take very seriously the risks that lie ahead and see its choice of leadership in the next term as a statement of intent. To the EPP’s satisfaction, Spitzenkandidaten may well yield leadership in highly competent grey-haired men. However, as the EU becomes ever more political, it must embrace popular sentiment and the voter dynamics of today and look beyond the immediate vested political interest. We need leadership that inspires future generations of Europeans. Europe must send a clear signal that it welcomes change – and what better way than putting a woman at the helm. 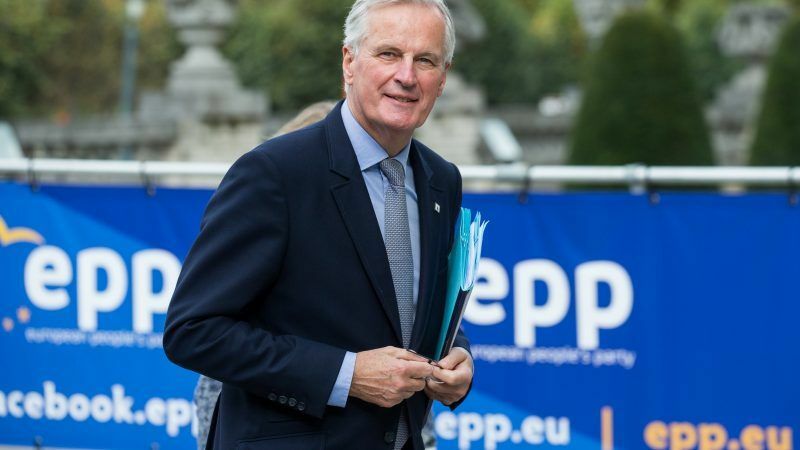 In the end, will the EU stick to form and play safe, with the redoubtable and Brexitly impressive Michel Barnier? Or will it be more politically savvy and champion leadership fit for the 21st century? After all, we have an abundance of excellent female candidates, including Margrethe Vestager, Cecilia Malmström, Federica Mogherini, Christine Lagarde, Kaja Kallas or even Kristalina Georgieva, should she choose to return. Time will tell but the clock is ticking.